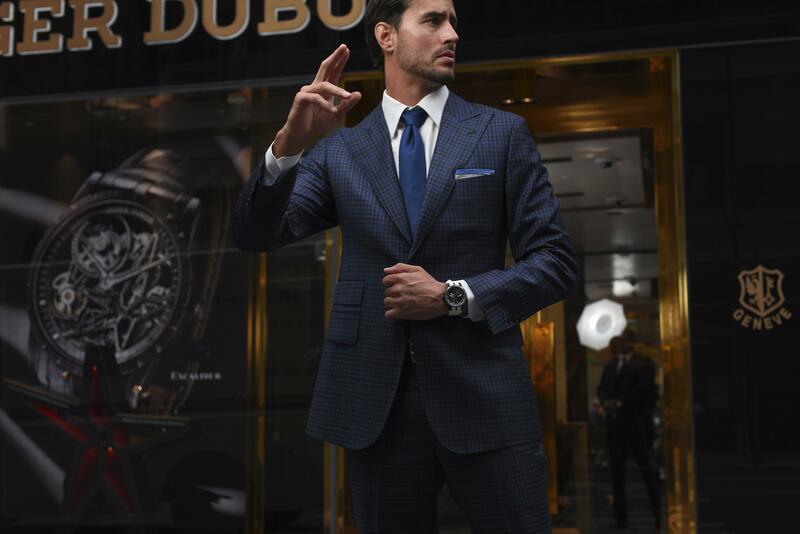 NYC Daring Minds & Business Armor is the new Roger Dubuis’ communication campaign to celebrate one year from the opening of its Madison Avenue boutique, in New York. The campaign has been developed in collaboration with Watch Anish, renowned protagonist of lifestyle social media scene, and it has as main protagonist a young successful businessman who offers captivating insights of his world to the spectator: shiny super cars, refined tailor-made suits, contemporary pieces of furniture and elaborated dinners. All this always wearing some of Roger Dubuis‘ most iconic timepieces, reflecting his exuberant personality, and belonging to the Excalibur collection, defined by technical excellence and boldly strong design.